PayPal has become an aggressive force in the mobile payments arena. The company has been establishing a strong presence in several mobile markets around the world and has become one of the most accessible mobile payment platforms because it is not based solely on NFC technology. PayPal has launched a new service in Germany that is meant to further bolster its presence in the European mobile sector. This service was launched with the help of Orderbird, a startup mobile commerce firm based in Germany. The new service is called PayPal CheckIn and it is designed to create a more personalized shopping experience for consumers. Using the service, a consumer can build a profile like they would on a conventional social networking site. This profile is activated when a person enters into a store that is using the PayPal CheckIn service. This is a form of geo-location that is similar to social networks like Foursquare and Facebook. Using the profile associated with the service allows consumers to shop for products they may be interested in based on their shopping history. Orderbird notes that the service will initially be trialed among a small number of businesses, mostly cafes and small retail outlets located in Berlin, Germany. 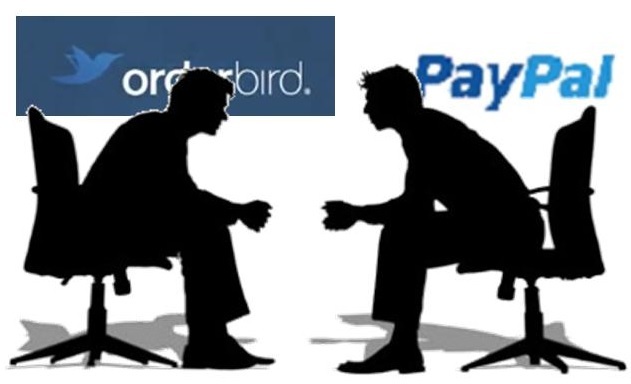 Some 1,700 merchants throughout Germany, Austria, and Switzerland are using Orderbird’s services currently, and these merchants have been showing interest from the new mobile payments platform being offered by PayPal. PayPal already has several mobile commerce ventures it is invested in, with the most prominent being Beacon. The company has managed to attract a great deal of support from consumers looking to engage in mobile commerce but cannot easily do so because of a lack of NFC-enabled device. PayPal has opted to avoid using NFC technology for its mobile commerce ventures in order to make them much more inclusive to the general population.